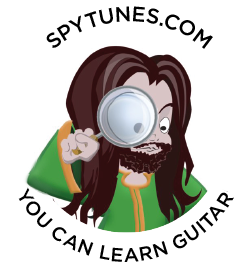 The beginner course has been developed with previous Spy Tunes students over five years and now cover everything you need to know to get going playing the guitar and understanding music. Alongside learning great songs on the acoustic guitar, the course teaches you the basics of guitar playing, this includes understanding how chord progressions work and how to play open position chords. You must also understand the basics of strumming patterns and develop synchronization between the left and right hand. The exercises for doing all this can be previewed by following a link to each topic below. So often overlooked by guitar players is the chord progression of a song. Instead of just learning each song as a new letter combination of, let’s say C – Am – F – G, you will be much better off understanding what each of these chords actually means. No matter how easy or difficult the song is, the chord progression will always hold the answer to how a song can be understood. 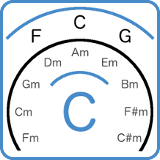 Visit the beginner chord progression page and you’ll never see music in the same way again. To learn everything there is to know about chords may seem overwhelming first. Don’t worry, with the right foundations, this is an easy language to understand. It simply is not the case of memorizing thousands of individual chords. 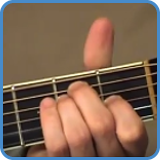 During your beginner studies, you learn ten open position chords. Later on, you’ll see how absolutely everything is built upon these chords. Go to beginner chords and check if you can play them all, for example, can you play an open position Gm chord? 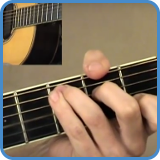 To improve on finger dexterity, right and left-hand coordination, accuracy and speed you need to practise chromatic exercises. There are sixty-six variations available using video demonstration in total. In the beginner library, you will learn the first three. In the beginner guitar course, we expand on this concept. Go to beginner chromatic exercises and see if you can play along with the first three video lessons. The easiest way to learn and remember a songs strumming pattern is to read them using rhythmical symbols. 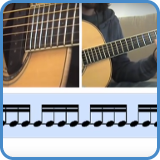 There are fifteen exercises available in the beginner library that in no time will teach you the fundamentals of reading rhythms using easy to follow, play-along video lessons. 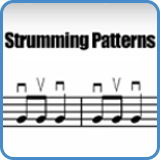 In the beginner course, these are merely the starting point for our rhythm studies. To try one of these exercises now, go to beginner rhythmical exercises. As you learn more and more songs you will understand more about chord progressions. Soon you’ll find yourself wanting to change key. This is where the SWS come into play. Using this simple application you will learn how to change from one key to another by seeing chord progressions as roman numerals. As you progress through the intermediate, advanced and master courses, you’ll use this tool to organize your scales and arpeggios too. 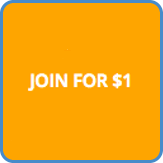 To try it out now, go to beginner songwriters swivel.